Known as Taiwan's "Harbor Capital" because of its close connection to the ocean and maritime transportation, Kaohsiung is a port city that sits on the island's southwestern coast. Since its start in the 17th century, Kaohsiung has grown from a small trading village into the industrial center of southern Taiwan. As with other sites, Kaohsiung ETAs will co-teach with at least one local Taiwanese English teacher. Class sizes vary greatly, with typically no more than 30 students, although some ETAs have had as few as 3 students in one class. In Kaohsiung there are a number of ways to get around the city: by bus, by scooter, by bike, by car, or by MRT. Kaohsiung is the only city besides Taipei that has an MRT, which you can also take to the Kaohsiung airport. In addition to the MRT, Kaohsiung is also connected to the HSR (high speed rail) and the Taiwan Railway (train). Recently, Kaohsiung also installed a LRT (light rail), which goes along the water to Pier 2 and Dream Mall. Every year there are about 13-14 Fulbright ETAs placed in Kaohsiung county. If you'd like to know more about the daily life of a Kaohsiung ETA, go check out our Instagram page, @kaohsiungeta. As one of Taiwan's largest cities, Kaohsiung has international cuisine, cultural and historic attractions, nightlife, and more. Check out the whimsical art district Pier 2, or take a day trip to Kenting, one of Taiwan's most famous beaches. Hiking is also an option at Monkey Mountain, where as its namesake suggests, monkeys abound. 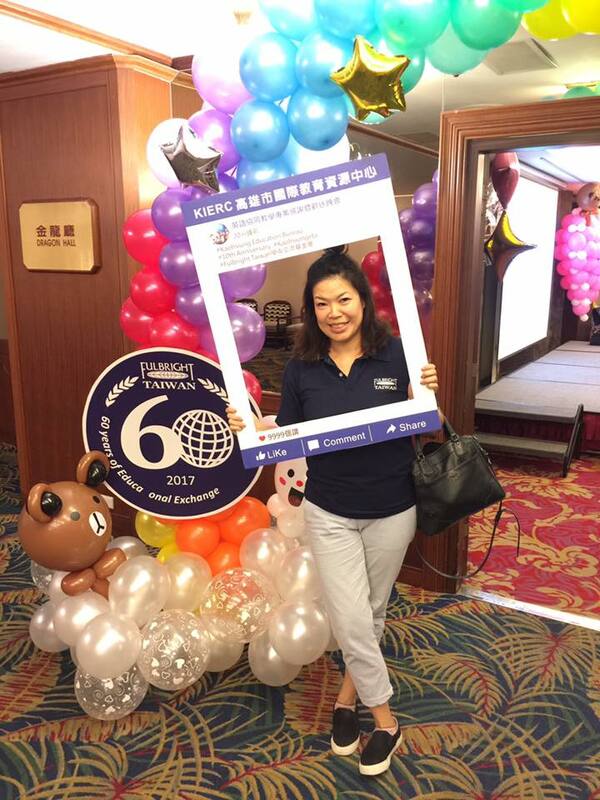 Fonda Mao has been the Kaohsiung Fulbright ETA program since 2009. She was raised in Kaohsiung. Prior to her position with Fulbright, she lived in Vancouver, Canada, where she completed a B.A in hotel management and worked for an art school. After moving back to Kaohsiung, she worked for the 2009 Kaohsiung World Games Organizing Committee and was a Research Assistant at National Sun-Yat Sen University.